Please join us for the first-ever BANSWUG at UMass Lowell on March 28th! 8:00pm - 9:00pm Practical Part Design Using SOLIDWORKS Plastics - Andy Jaskey, Trimech. Have you been wondering what the fuss over SOLIDWORKS xDesign is all about? Well, wonder no more and come see SOLIDWORKS xDesign in action! 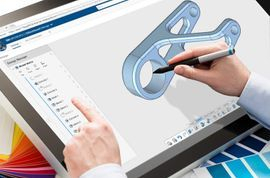 Eric Beatty, from the Seattle Area SOLIDWORKS Power User Group (SASPUG) will be our special guest, giving us an in-depth look at CAD in the Cloud on the 3DExperience Platform. 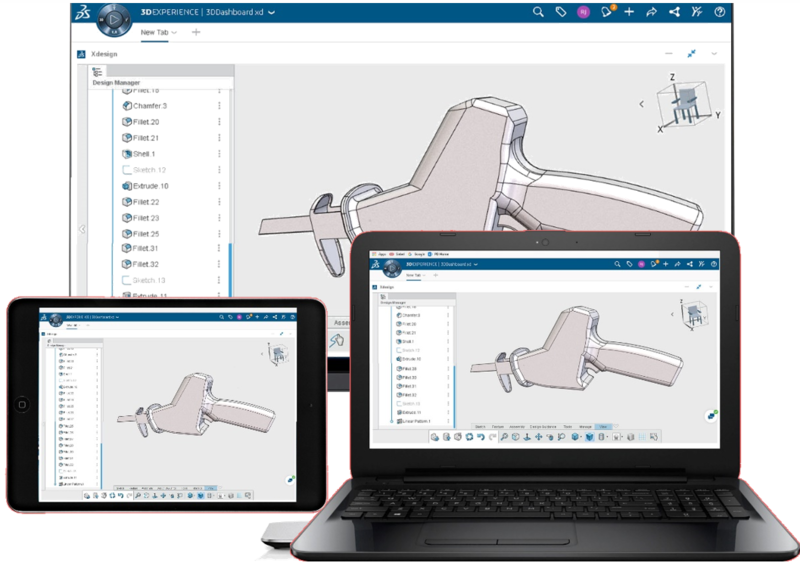 xDesign is the newest offering from SOLIDWORKS featuring 3D parametric solid, surface & direct modeling on just about any device ranging from your phone to your desktop workstation and everything in between. xDesign offers a unique modeling environment where features, multi-bodies, parts and assemblies seamlessly co-exist. If you know SOLIDWORKS, then your xDesign training is 99% complete. Eric will show off some of his favorite xDesign tools and features not (yet!) available in SOLIDWORKS . He'll show us how xDesign and SOLIDWORKS users can collaborate on projects, seamlessly exchanging 3D CAD data back and forth. You'll understand why Eric says he is "as excited about xDesign as he was 23 years ago when he saw his 1st SOLIDWORKS demo". This is one presentation that you will NOT want to miss! Eric A. Beatty has been using SOLIDWORKS since March 1996, first as an educator at North Seattle Community College, where he founded SASPUG, the very 1st SOLIDWORKS user group, and currently as a Senior Mechanical Designer for Omax Corp., a leading manufacturer of CNC abrasive waterjet machining centers. He holds 9 SOLIDWORKS Certifications, beginning with the CSWI in 1997 and most recently the CSWE in February 2019. He has been a member of the xDesign Lighthouse Beta Program since January 2018 and is an experienced xDesign user. In April 2018, he competed and was one of 5 winners to travel to Milan, Italy for the Dassault/SOLIDWORKS xDesign Hackathon. He describes himself, unabashedly, as a true “3D CAD/CAM nerd." Come see practical ways that SOLIDWORKS Plastics can help design better plastic parts in less time. 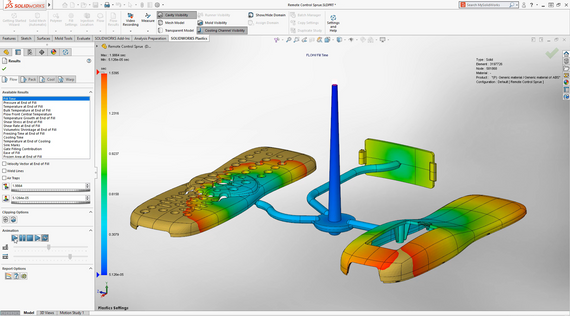 This session includes tips and tricks for modeling and analyzing plastic parts. Attendees will gain a better understanding of the powerful ways Plastics can be used to overcome design problems in plastic parts. TriMech Solutions is a leading SOLIDWORKS VAR run by engineers, for engineers. TriMech delivers technology and services to their engineering, manufacturing and product design clients from Maine to Florida to Arkansas. With 26 offices spanning 26 states, TriMech has a deep bench of skilled engineers from a variety of disciplines, allowing them to provide top-quality software, hardware and project engineering services on-demand. We will also be hosting two SOLIDWORKS usability research breakout sessions, where Product Definition and User Experience specialists will preview upcoming SolidWorks features and products, such as eDrawings Virtual Reality and SOLIDWORKS xShape. The feedback provided by BANSWUG members will help SolidWorks refine and improve their products in the future. If you're interested in shaping the future of SolidWorks, don’t forget to reserve a breakout session ticket! Free parking for all BANSWUG attendees will be located in the Riverside A and B Commuter Lots, located at 307-311 Riverside Street, Lowell, MA 01854 - about a 10-minute walk to the meeting venue at the Saab Emergining Technologies & Innovation Center (ETIC). Walking directions can be found here.